6. mobilephone port customers can charge with their own cellphone usb line, very convenient. 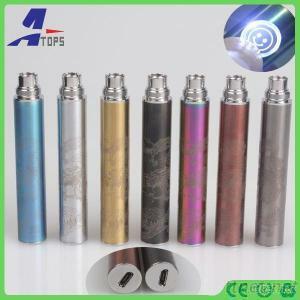 7. it has short circuit protection, battery reverse protection.
. Red LED right will alarm if you take more than 10 seconds in one puff.
. Red LED will flash 15 times when the voltage of the battery is below 3.3v.
. Short circuit protection system.